Got interesting stuff to tell about your internship? Feel free to share! After coming back to Singapore, all the 6 months I had in Switzerland was like a dream. All the breathtaking scenery, all the crazy things I have done, all the awesome people I have met, they are like existences in a beautiful dream and I finally woke up into the reality, in a hot rain forest with sunset at 7pm everyday. I was lucky enough to have the exchange program and this summer internship, which made my six months’ stay in Lausanne, an important span of my life. During my exchange semester, most of my travels were outside of Switzerland. After that I started my real exploration of Switzerland and I regretted that I didn’t find its beauty earlier. Monday to Friday: In the morning i rode my bicycle to my lab, went pass the corn field, seeing the Alps, sensing the cozy winds. I was working in the Applied Computing and Mechanics (IMAC) Laboratory under Professor Ian Smith, the Head of laboratory. I was working on a pioneer project that aiming to construct an teaching module about BIM (Building Information Modelling) Technology, which was a totally new area for me. The most challenging part of this project was to design the content and organization of this tech-related module in a tech-irrelevant way, which enables the module to be long-lastingly practical with the fast-changing technology. I was glad that my lab mates , which are PHDs and scientists, are all very nice and helpful. Everyday we had lunch together and share our appreciations on similarities and differences among our cultures, foods and experiences. After lunch we usually had a relaxing coffee session to have a bit more fun. The work in lab can be tough and challenging but the relaxing time we shared added enough power to us. Here comes the part of the after-work life. Inspired by my Belarus roommate Stas, I got my subscription of the water sports of our school. Almost every day after work I would just head to the lakeside riding my bike and do some water sports there. Lac de Leman is fantastic, doing windsurfing on the lake could be like flying within the heaven. Laying down and taking a nap on your stand up paddle board after going into the middle of the lake is like being in a place that you were the only existence. Sometimes there were BBQ/party/picnics organized by the interns in the evening, having fun and talking to these lovely people from Oxford, Cambridge, Georgia Tech, MIT could be very enjoyable. Knowing how different ways people look at the world was inspiring. A great thing about summer in Lausanne is that the sunset is always latter than 10pm, hence the time after work was just like the start of the day! we have 5 hours before sunset, and I will never forget how breath-taking the sunset at the lake is. Weekend: Weekends are the free days that we could take day trips within Switzerland or go abroad. It was my dream to hike and cycle on Alps when I was a child and this summer I really make it. Switzerland transportation system is perfect for traveling with bike and I had took my bike to many mountains of this country. I don’t know how to express my feeling when I sped on the top of the mountain with the sound of the wind sweeping my head, it is like…I could feel that I am live in real. What is Switzerland? Crystal lakes, Alps and clear sky? Snow and glaciers? Swans, cows with bells and the fresh smell of the grass? All the nice people? It is all of them, all of them and many memories make the Switzerland for me. Switzerland, I will be back! Purchase the half-fare and track 7 SBB card. Get the water sports subscription to have great fun on Lac de Leman (Windsurf, kayak, stand up paddle) and swim a lot! Have fun with the awesome interns! 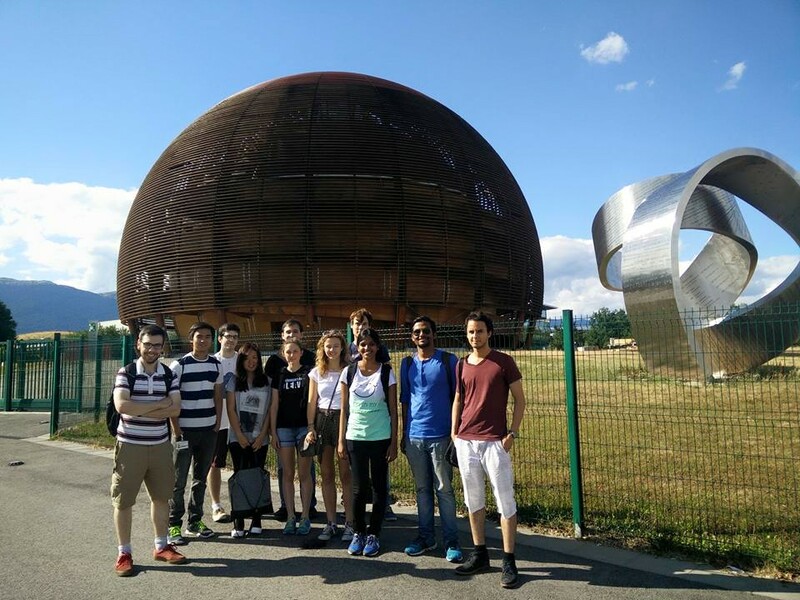 This entry was posted in EPFL Campus, Lab work, Life in Lausanne, Science and Research at EPFL, Visiting Switzerland on 30 August 2015 by Rodger Zijie Yuan. I wondered, how C.H. could be an abbreviation for Switzerland? After some research I found that it stands for Confoederatio Helvetica. Which, still made little sense. Now, after spending the last 3 months in Lausanne, I understand. The latin name preserves Switzerland’s traditions while giving no preference to one of the four national languages. Yes, FOUR national languages. I have learned that Switzerland is a diverse land. In more ways than one. I have been working as an intern in the BioRob lab led by Professor Auke Ijspeert at EPFL on a project to simulate compliant robotics parts. I have learned an incredible amount from my lab mates about robotics and about work habits. When an experiment in lab interests me, all I have to do is walk over and inquire about the project. In response, I receive a detailed description of what is happening and its importance. In addition, it is greatly comforting to know that any time I am struggling with my project, I can ask someone for help, and the person who responds is probably one of the most knowledgeable people in the given field. And they will gladly sit and talk with me as if they had all the time in the world. Kamilo, my advisor, was especially patient. Though I knew full well that there were many projects he was working, I still always felt like my concerns and my project were a priority. His mentorship has been absolutely invaluable to me. Besides work, I enjoyed interacting with the people in my lab as friends as well. There is a huge diversity of cultures represented in my lab. I’ve met people from all over the world with different languages, backgrounds, and interests. I really appreciate that despite all these differences, everyone is good friends. As soon as I arrived in Switzerland, BioRob invited me in and I immediately felt as though I had many friends. Besides having lunch, and post-lunch coffee together every day, I learned that every Tuesday the cinema in Lausanne offers two for one price movie tickets, so we went a couple times. We also went to dinner on some Friday’s at this great Chinese place, near the Lausanne city centre, which was always packed. Another amazing aspect of being here, is the traveling. On a weekend trip to Bern, some interns and I were looking at postcards for friends and family back home. I picked up a beautiful topographical map of Switzerland from the rack. As I ran my fingers over the paper, I was amazed. I always knew Switzerland was known for the beautiful alps. But for the first time I was struck by the fact that the ENTIRE country is mountains. But despite this, the landscapes of Switzerland are also extremely diverse: Mountains, check, lakes, check, valleys, check, old UNESCO site cities, quaint small towns, check, bustling industrial cities, check, ancient ruins, check, rolling hills with wandering cows, check, waterfalls, check. And, all of this in a country about three times the size of Los Angeles County. This means that everywhere I want to travel was a maximum of a 4 hour train ride away. In summary this summer I have had so many incredible experiences, both academic and not, and I have learned more than I could have imagined. I am so grateful for the experience and I believe I have made many life-long friends whom I will never forget. This entry was posted in EPFL Campus, Lab work, Life in Lausanne, Non classé, Science and Research at EPFL, Visiting Switzerland on 20 August 2015 by nmohebbi. As soon as I arrived, I felt very welcome and part of the team. Three coffee breaks per day + relaxed lunch breaks with the lab really establish a sense of comaraderie with other members of the lab, something that I think is lacking in North America. I loved how well the Swiss/Europeans incorporated social/relaxation time into their work environment, making everyday life that much more enjoyable. In North America, I have found that personal or leisure time is kept very separate from the work environment. Working in the Physics of Aquatic Systems Laboratory is excellent because it means plenty of time spent on the boat in the sun! (Measuring reflectance of the sunlight off the water conveniently meant that we could only do fieldwork with clear skies and calm winds 🙂 ). 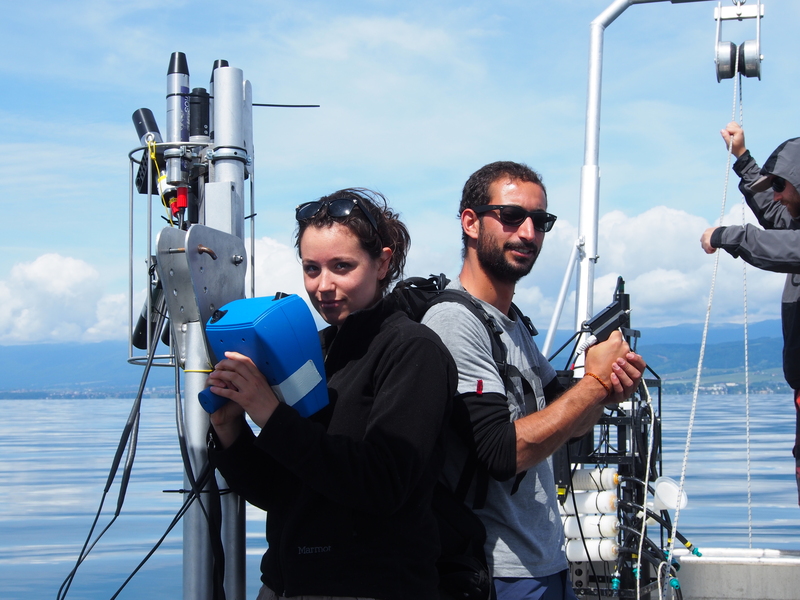 Measuring reflectance with PhD student Vincent Nouchi to determine chlorophyll concentration in Lake Geneva (“Who you gonna call?!”). 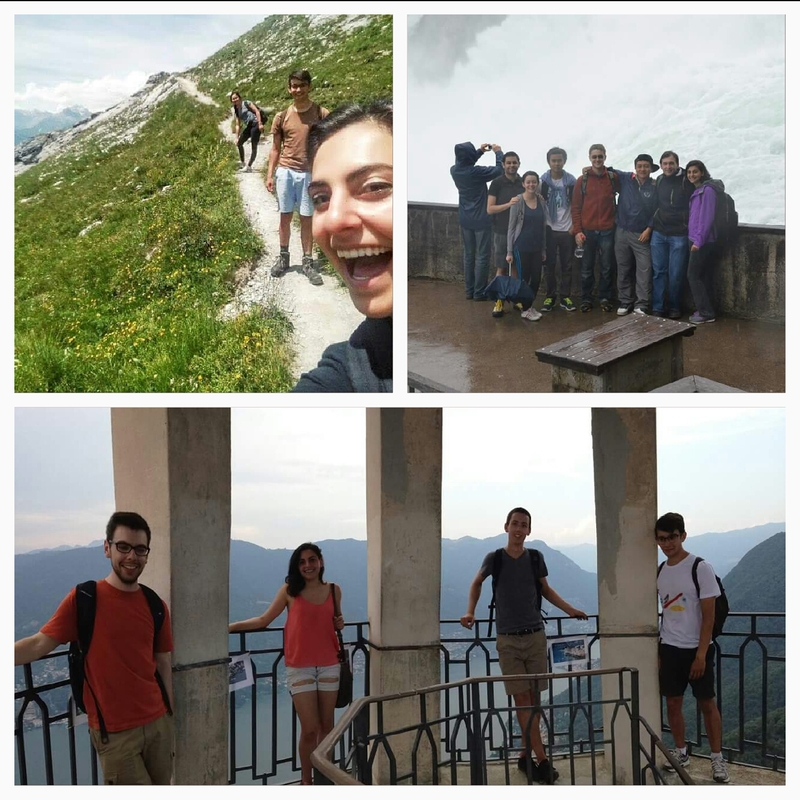 Being a part of EPFL’s Research Internship program was very special because you are surrounded by gifted students from the globe’s top universties. All amazing people, from very different backgrounds, very accepting of everyone’s differences; we all got along extremely well! 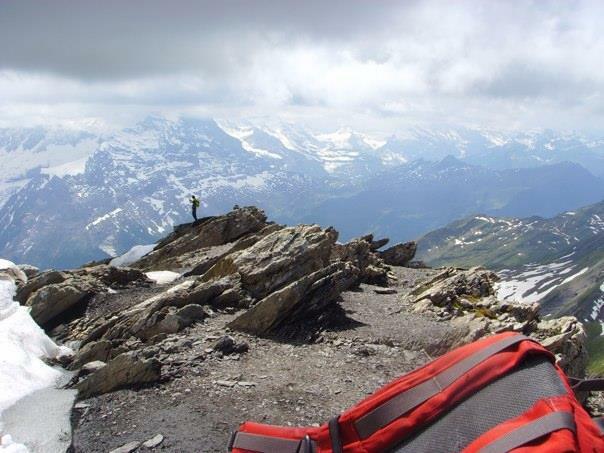 Outside of the research internship, Switzerland has unlimited activities: music festivals, hiking, and all sorts of other outdoor activities. Conclusion? : HIKING IN SWITZERLAND IS AMAZING! Trails are extremely accessible by public transit, unlike anything I had seen in North America. Words cannot express the breathtaking beauty of the swiss landscape. Returning home, exhausted after a day of hiking and feeling accomplished about however many meters of elevation you climbed, is one of the best feelings in the world. 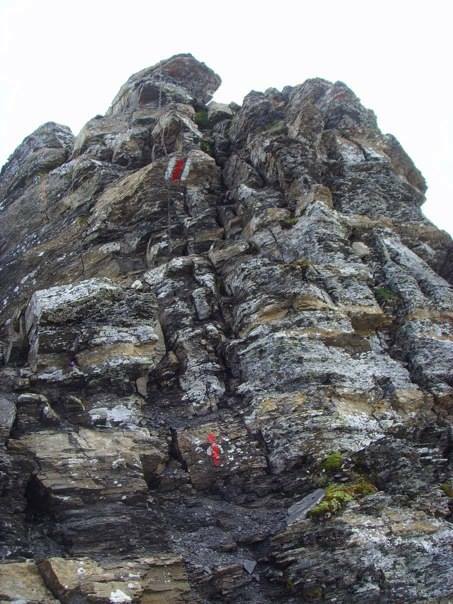 Summit of Schwarzhorn, near Grindelwald, Switzerland (2928 m). How has this experience shaped my life? 1. One of the main reasons why I chose to apply to this research internship was to discover if research was something I was interested in. I can definitely say that I am left with a very positive impression, and it has helped me to narrow down my interests. (Although the immediate steps to be taken in research are not always clear and can be discouraging, it is OK, and actually quite a common occurence in research.) I would love to come back to Switzerland for a PhD in a couple years time. 2. I NEED to live near mountains. 3. All of the amazingly diverse people I met during my time in Switzerland reinforced the notion that having a positive and open outlook to the world can is extremely rewarding and the relationships created as a result of this outlook are easily worth 1000 times the effort initially put in. Shout out to all you amazing interns!!! One of the last dinners with a majority of the interns. Photo courtesy of Morgan Jackson. Thank you to EPFL and Karen Undritz for this amazing experience! This entry was posted in Lab work, Life in Lausanne, Non classé, Science and Research at EPFL, Visiting Switzerland on 23 September 2014 by katrinaschuler. One of the biggest differences I have noticed between working in the US and working in Switzerland is the attitude towards lunch and social time. When I have worked in the US you come to work, put in your 8 hours, usually take a short lunch (often at your desk), then you can leave and have your social life mostly outside of the office. In my lab at EPFL, lunch is an event. A group goes out to eat just about every day and it is a time for socializing. Conversations can vary from relevant science (such as the latest robot DARPA or MIT has), to the cross cultural (comparing life from the various corners of the globe we all come from), to the type of conversation that is inevitable among a group of lab rat engineers (like how to properly write a publishable paper on proving the number of slices a pizza should be cut into for the best taste). Immediately following lunch is coffee, where you sit and chat and maybe organize events outside of work for another 30 minutes or so before finally wandering back to lab. Then if you are in the lab past 17h00, don’t be surprised if people start asking who wants a coffee break. While taking part may extend the workday, it is the best way to get to know your coworkers, learn about the area, learn about different cultures, and to get involved in life in Lausanne. 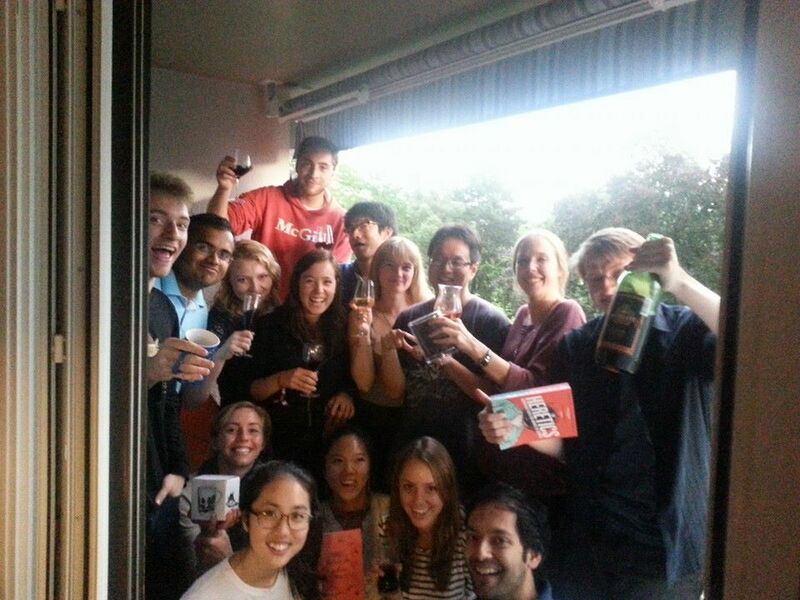 This entry was posted in Lab work, Life in Lausanne on 23 June 2014 by ldfleury.